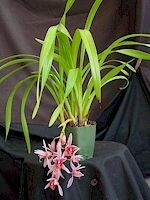 This 'Tea Cup' cymbidium produces a fine bouquet of pink flowers. A charming ultra miniature that grows well in a hanging basket. Cool growing. February blooming. 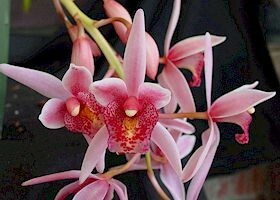 With one spike, just opening, $25.